etters detailing the method of a famous voice teacher are rare. Even rarer are those written by a famous singer. 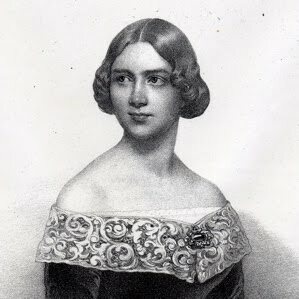 So there was great interest when a letter in the hand of Jenny Lind, the legendary soprano who took America by storm under the auspices of P.T. Barnum, came to light and was published in The Musical Quarterly in 1917. You can read it here. Written to a Professor Bystrom in Sweden, Lind details various aspects of her training with Manuel Garcia, including the trill, sustained notes, breathing and phrasing, formation of the mouth, use of the soft palate in the upper range, and the 'binding' of one note to another. In the history of vocal pedagogy, it is a most unusual document. It seems that the letter is hidden for viewers in the UK! I have noticed recently that far fewer publications are viewable in the google books facility than used to be the case even a few weeks ago. This sudden change of policy must have something to do with copyright laws. It's a totally counterproductive move, as I have bought many books on the strength of interesting snippets discovered as a result google searches. I am very sorry to hear this! I am not positive, but believe this may be the result of a recent court case here in the US where a judge threw out a deal that only gave 120 million for books that were 'unclaimed'. One hopes, of course, that the matter will be renegotiated and viewing privileges restored. In then meantime, you should be able to find the material in this post at a university library. For those who cannot access the link, the original source is 'Jenny Lind's Singing Method', The Musical Quarterly, October 1917, Vol 3, No. 4, Page 548.